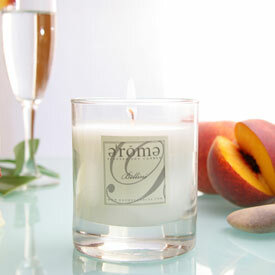 Looking for a candle to burn that will fill your home with delicious aromas but won't burn a hole in your pocket. Our scented soy jar candles are the perfect choice for quality and cost conscious consumers. Our soy candles will burn longer than typical petroleum based, wax candles. These soy candles are non-toxic, burn slower and cooler than wax candles, seldom trigger allergies, and produce little soot and have lead-free wicks. Come nicely packaged in an organza bag, perfect for gift giving.